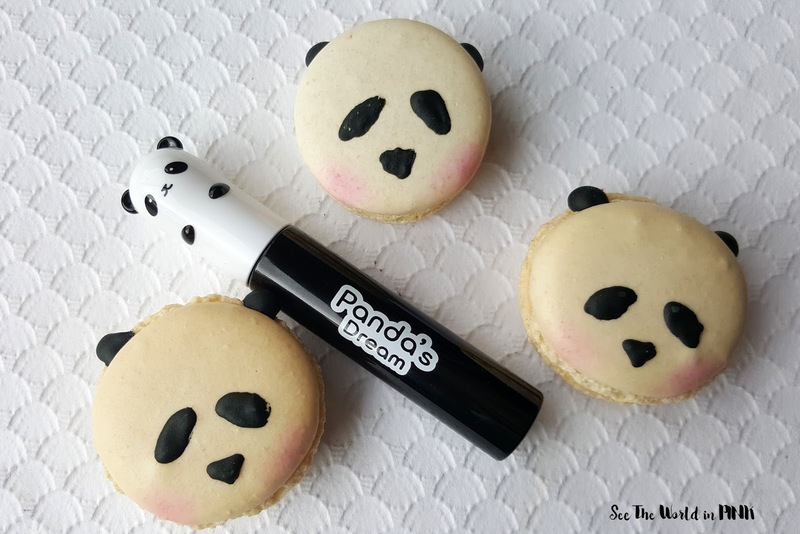 Tony Moly Panda's Dream Smudge Out Mascara Volume - Cutest Mascara Ever, But Does It Work?! Tony Moly is known for it's fun and cute k-beauty packaging - they helped create the phrase "skincaretainment" and make k-beauty products more mainstream! I have always been a fan of the brand, but have really only tried their skincare products. 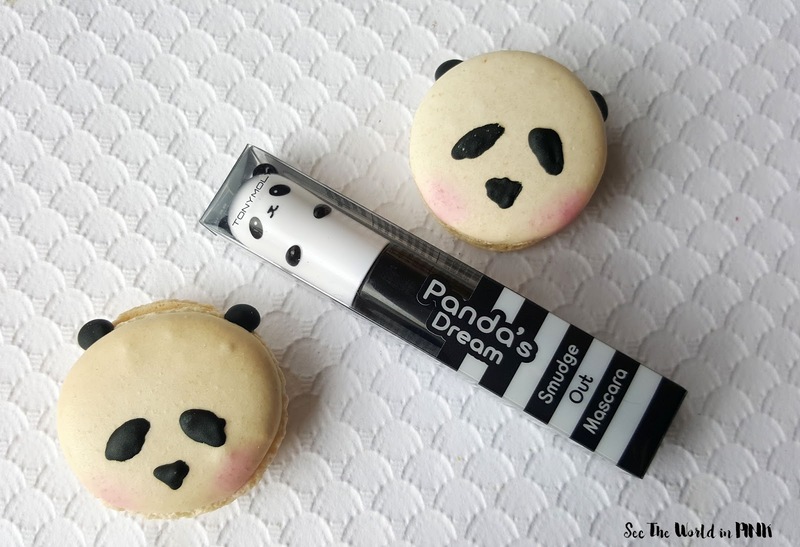 When I saw this ridiculously cute panda mascara, I HAD to try it! Tony Moly has a whole "Panda's Dream" line - cooling eye stick, sleeping pack, lip balm, mascara, hand cream, lip pencil, contour stick, compacts, blush and more! Of course, they all come in amazing Panda packages! 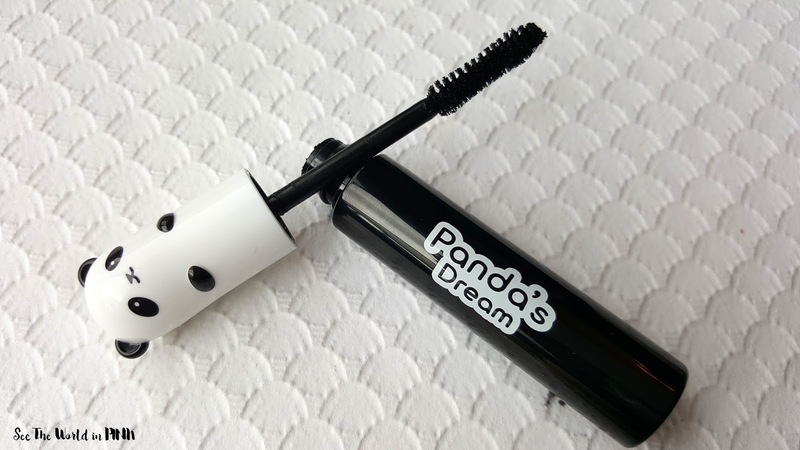 Tony Moly Panda's Dream Smudge Out Mascara - 01 Volume ~ $16.42 CAN (can be found on ebay from $8-$12). 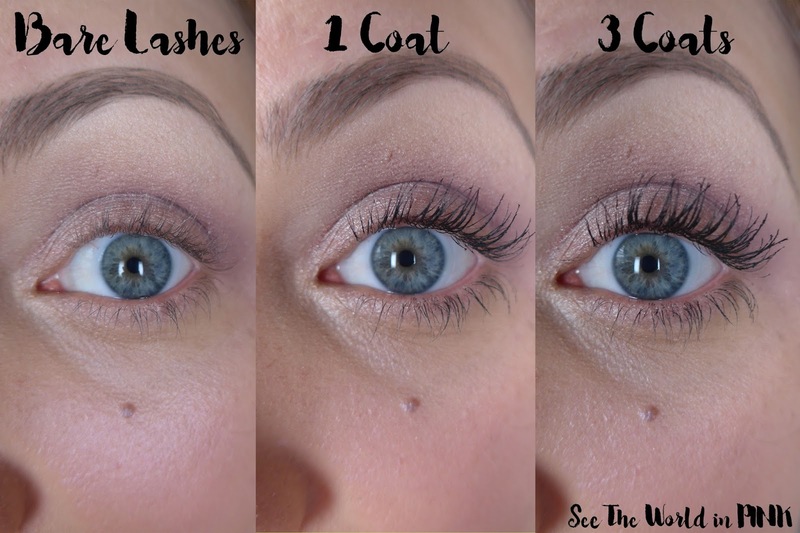 Smudge-free mascara coats lashes for noticeable and impressive volume. Light formulation creates an even coat that lasts all day. This mascara comes in 2 different types - volume or long lash. I chose the volume mascara for myself, personally I need volume more than length! Also, I linked a Canadian based k-beauty shop to purchase, but if you don't mind waiting a little longer for shipping you can easily find an ebay seller direct from Korea and save a fair bit of money (that goes for most Tony Moly and k-beauty products). I am really happy with this big, fluffy brush - I have found so many mascaras lately with super small brushes or plastic bristles and they just aren't what I love to use. This brush shape and size and exactly what I love for my lashes! This is just a quick look at pre-mascara, after 1 coat of the Tony Moly Mascara, and then after 3 coats! I know I can't be the only one who is a 3 coat of mascara person! Also, I did not separate my lashes or anything, wanted to show how this mascara applies! I was really happy with the quality and the results of this mascara! It worked so well and it is exactly what I want out of a mascara! It wasn't gooey or clumpy and hardly required any touchups after 3 coats! It was drier, but not at all flaky and lasted all day! 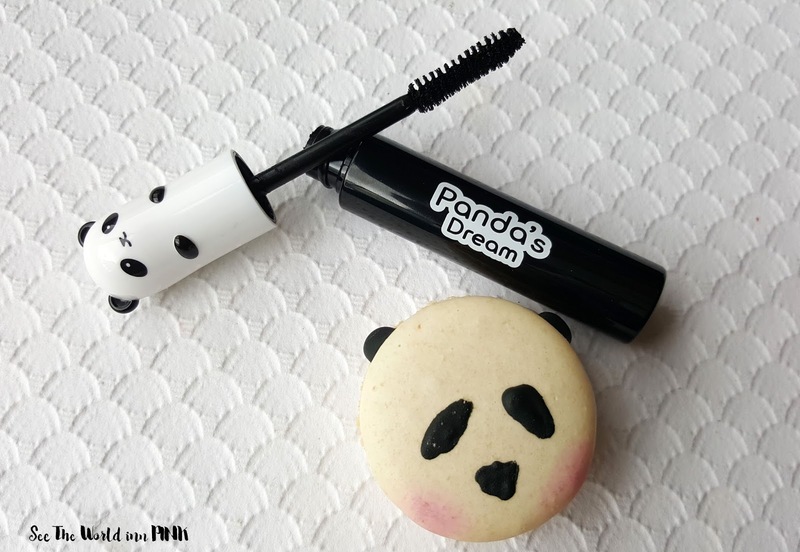 I love that the Tony Moly Panda's Dream Smudge Out Volume mascara works well and is adorable! Love!